Some protein supplements may help improve hair growth. Eating right not only helps keep you healthy, but also keeps your hair healthy too. Not getting enough protein, vitamins, minerals or essential fatty acids may impair hair health and promote hair loss. 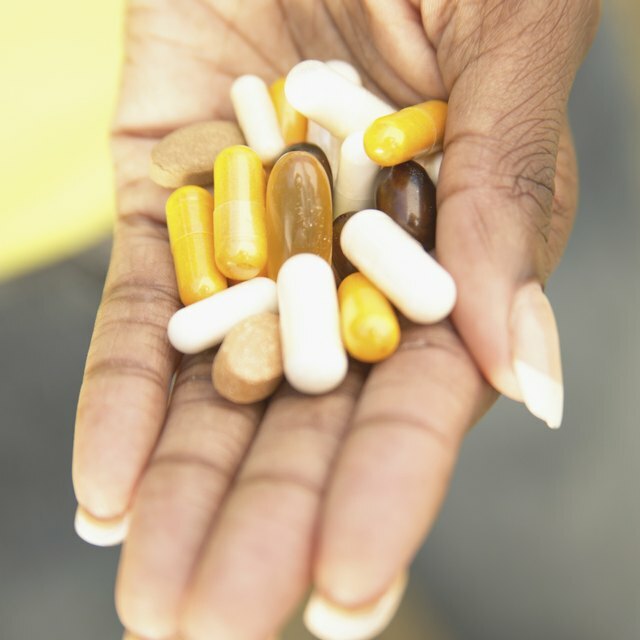 Some evidence indicates that protein pills may help improve hair health. Consult your doctor before taking any dietary supplements. When you visit your local vitamin shop you may notice a variety of nutrition supplements geared towards improving hair health. The source of protein in these supplements vary and may include individual amino acids, soy or fish protein. In addition to the protein, these supplements may also contain a number of other nutrients, including biotin, methylsulfonylmethane or MSM, vitamins A and C, some B vitamins, copper and other vitamins and minerals. There is evidence that protein pills with a blend of shark and mollusc powder may help improve hair health. A 2012 study published in The Journal of Clinical and Aesthetic Dermatology investigated the effects of this marine protein supplement on hair health in a group of women with thinning hair and found that the supplement improved hair growth and helped prevent hair loss. A similar study from 2015 published in Dermatology Research and Practice found the same results from the marine protein supplement. It's important to note that this supplement also contained silica from horsetail and vitamin C, so its not clear how much of the benefit came from protein. While these studies seem to indicate that protein from sharks and shellfish improve hair, you may not be able to find this exact protein blend in every over-the-counter hair protein supplement. Plus, the research for these studies was supported by a grant from the makers of the supplement. In addition to these protein supplements, other nutrients also play a role in promoting hair health. A 2002 article published in Clinical and Experimental Dermatology reports that the amino acid L-lysine may also promote hair growth. Additionally, deficiencies in certain nutrients, including iron and zinc, may also affect hair health. Including iron-rich foods, such as meat and beans, and zinc-rich foods, such as oysters and cashews, may help prevent deficiencies, which, in turn, may help keep your hair healthy. While hair protein supplements may contain different nutrients from different sources, there's always a possibility of an allergic reaction. This may be especially true for supplements that contain the marine-based protein because fish and shellfish are two of the most common food allergens. If you have an allergic reaction to your hair supplement stop taking it and contact your diet. Additionally, the 2002 article in Clinical and Experimental Dermatology reports that over supplementing with nutrients promoted to improve hair health may have the opposite affect on your hair and cause you to lose it, especially if there are no nutritional deficiencies.